Draft: 2016, Milwaukee Brewers, 4th rd. Graduated from Centennial (CA) High School, where he also played two years of football (QB)... Attended St. Mary's (CA) College..Enjoys playing golf.....follow him on Twitter (@Burnes16). Entered 2018 as the second-best prospect in the organization according to Baseball America... Began the year at Triple-A Colorado Springs, where he went 3-4 with a 5.15 ERA in 19 games (13 starts) before his contract was selected by Milwaukee on 7/8... Went 7-0 with a 2.61 ERA and 1 save in 30 relief appearances with the Brewers... Held opponents to a .199 batting average with 35 strikeouts in 38.0 innings... Made his Major League debut on 7/10 at Miami and earned a save with 2.0 perfect innings (1k)... Became the second pitcher in franchise history to notch a save in a Major League debut, joining Dave LaPoint, who did it on 9/10/80 at Minnesota... Recorded his first Major League win on 7/21 vs. Los Angeles... Posted a 1.25 ERA over his last 16 appearances of the regular season (21.2ip, 3er) while holding opponents to a .171 batting average... Appeared in 6 postseason games, going 1-0 with a 2.00 ERA... Earned the win in Game 3 of the NLDS at Colorado as he tossed 2.0 perfect innings (2k)... Enters 2019 as the second-best prospect in the organization according to Baseball America. 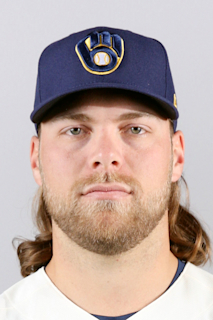 April 19, 2019 Milwaukee Brewers optioned RHP Corbin Burnes to San Antonio Missions. July 8, 2018 Milwaukee Brewers selected the contract of RHP Corbin Burnes from Colorado Springs Sky Sox. April 4, 2018 RHP Corbin Burnes assigned to Colorado Springs Sky Sox from Biloxi Shuckers. January 19, 2018 Milwaukee Brewers invited non-roster RHP Corbin Burnes to spring training. May 30, 2017 RHP Corbin Burnes assigned to Biloxi Shuckers from Carolina Mudcats. April 4, 2017 RHP Corbin Burnes assigned to Carolina Mudcats from AZL Brewers. August 24, 2016 RHP Corbin Burnes assigned to AZL Brewers from Wisconsin Timber Rattlers. July 9, 2016 RHP Corbin Burnes assigned to Wisconsin Timber Rattlers from AZL Brewers. June 20, 2016 RHP Corbin Burnes assigned to AZL Brewers. June 16, 2016 Milwaukee Brewers signed RHP Corbin Burnes.